The Role of Speaking Technique In Stuttering Therapy. Important or Not? Oh and I WASTED lots of money too. Improving your speech has NOTHING to do with learning a “magical” technique, which will “fix” your stuttering overnight. If that is your expectation, you are NOT on the right track and unfortunately you’ll never achieve your speaking goals if you keep that mindset and approach. Sorry, but I am being totally honest with you here. There is no magical technique, which will “fix our stuttering” in a couple minutes… like a pill. 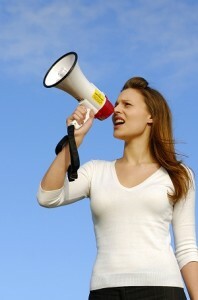 In fact, most of the speaking techniques which are promoted as “stuttering solutions” are not even applicable in real life speaking situations. If you have tried those before, I am sure you know what I mean. There is something which is EXTREMELY IMPORTANT and makes all the difference. …and if you want to improve your speech, you NEED TO KNOW this. Learning effective speaking tools, techniques and strategies is very important when it comes to improving your speech and eventually overcome it. So, let me make it clear for you. Speaking tools and techniques is NOT “THE SOLUTION”, however it is a critical aspect of the OVERALL PROCESS. The process of improving your speech to a great level! If your mentality is “lets learn a technique and cure my stuttering”, I don’t think you have even a slight chance to achieve that goal. be able to face my fears” THEN that’s a TOTALLY DIFFERENT story. How would you feel if deep down YOU KNEW that you have the necessary tools and techniques, which you can use in your daily life to speak better? Would you start using them in challenging situations such as on the phone, talking to a stranger, saying your name, in class, at work, ordering food, while out with friends, etc.? But the solution is NOT you using a technique which will enable you to speak better, but what you do with those techniques to eliminate the FEAR OF SPEAKING! At this point, you’re probably wondering what you need to do. Here is a basic step-by-step model for you, when it comes to improving your speech. check out this video for that. to face your fears and challenge your limiting beliefs. you’ll prove yourself that YOU CAN do it. will also increase your confidence. to speak the way you want to. Speaking tools and techniques are just crutches to get you to your goal, they are your best friend while improving your speech. But, once you achieve your speaking goal, you need to let them go and stop thinking about them as much. There will be times which you might need them to manage a very challenging speaking situation, but those times are the only times you’ll need to refer to and use them. Wow, it wasn’t a short email, but I thought this was such an important question which needed to be addressed for your success. Hope this answered your question and I was able to explain it clearly. Warning: Not all techniques are good and effective though. There are good ones and bad ones. There are ones which you can use and ones which can only be applied in therapy rooms. That’s why I wanted to put together SDOGTP to show you and share the best and most effective speaking tools, techniques and strategies with you. There are more than 30 of them in there, which I go over and show you exactly how they need to be practiced and used in real life speaking situations. You can click here and watch this video to learn more about those tools and techniques. They are effective, easy to apply, can be used in daily situations… and are compiled as a result of what other successful stutterers used to improve their speech! I definitely recommend you to at least watch the video I created for PWS like you, who are going through what I had gone through for years. You can also take a look at this article and watch a video demonstration from SDOGTP. Hope this article helped and you now know the role of physical technique in improving your speech and eventually overcoming it. Feel free to contact me if you have any questions or need further help. P.S: Don’t miss the video, people LOVED it… Here is the link for it.